:Sing is an album filled with uplifting and encouraging songs. "While it seems like we've walked through a valley for a long time, we are not discouraged. God is good and we want to sing songs that convey that message," states Libby Stuffle. With selections like Keep On, Cry No More and the title cut, Sing, listeners will certainly embark on a heavenly journey, as The Perrys consistently guide with their eternal message, powerhouse vocals and beautiful harmonies. What's the secret? After 45 years of singing the praises of the Lord making their way across every crevices of the nation, the Perrys are still just as active as they were on day one. Despite suffering a major health setback in 2013 when Tracy Lee Stuffle suffered a major stroke after coming out of a heart surgery, the Perrys are still chirpy in their worship. 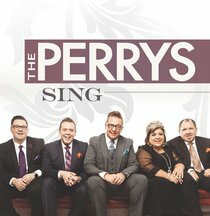 "Sing," the Perrys' latest release for StowTown Records, contains the answer. In this regard, "Sing" is more than just another record from this veteran Southern Gospel team. Rather, it's a testimony containing vignettes of truth of how we too can weather the storms of life and still sing right through our trials. "While it seems like we've walked through a valley for a long time, we are not discouraged. God is good and we want to sing songs that convey that message," states Libby Stuffle.Giving fans a judicious dose of covers as well as originals, the album conterminously contain both familiar as well as fresh sounds. In the former category, the Perrys give a rousing and dust kicking version of "Fear for Faith." Catchiness certainly gets its definition with the song's chorus, one that will get us singing along in a flash.